Thavibu Gallery is pleased to present the art exhibition There Is No Box with new oil paintings by the Vietnamese artist Bui Thanh Tam. 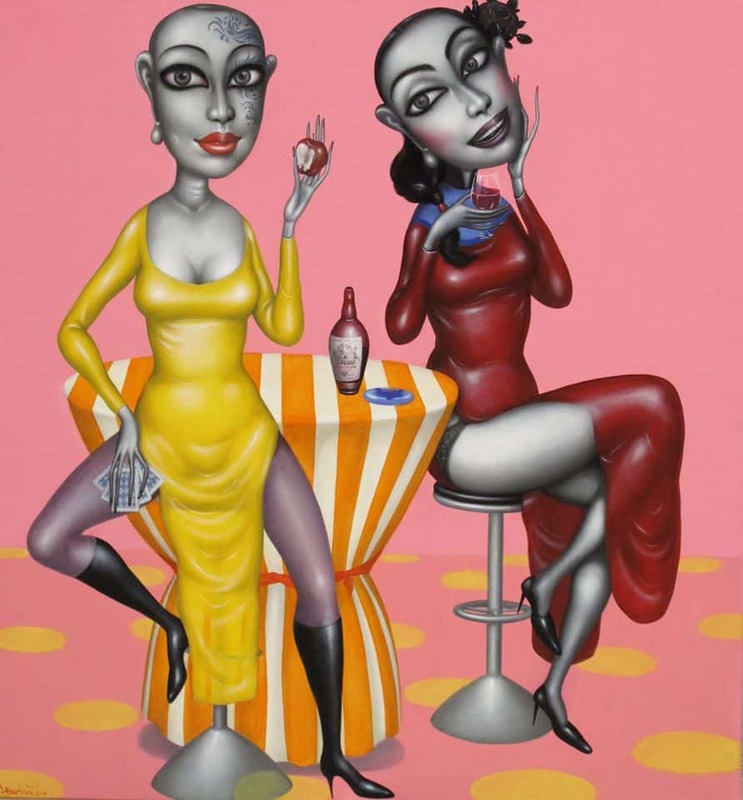 Bui Thanh Tam in his paintings explores contemporary society from different angles. Vietnam is a conservative society as in most of Southeast Asia, and changing rapidly. The women in his paintings often serve as symbols and may be viewed as having non-traditional Vietnamese values. The artist questions the role of women in Vietnam’s society, the development of its contemporary society and also how the current society can be seen as chaotic, especially for its youth. The artist says: “This series of paintings was created when Vietnam is in a transitional stage. The halfhearted communist regime is on its path to change and integrate into the wider world. This sudden change without orientation makes the human psyche overwhelmed, confused and disoriented. The result is that society often develops conflicts between parts of the Vietnamese culture that are Eastern and parts that have Western influences”. Bui Thanh Tam is 36 years old and one of Vietnam’s most important young and upcoming artists. He graduated from the Hanoi Institute of Fine Art in 2009 and has taken part in international exhibitions in Hong Kong, Netherlands, Malaysia, and China as well as in Vietnam. This is his first exhibition in Thailand.